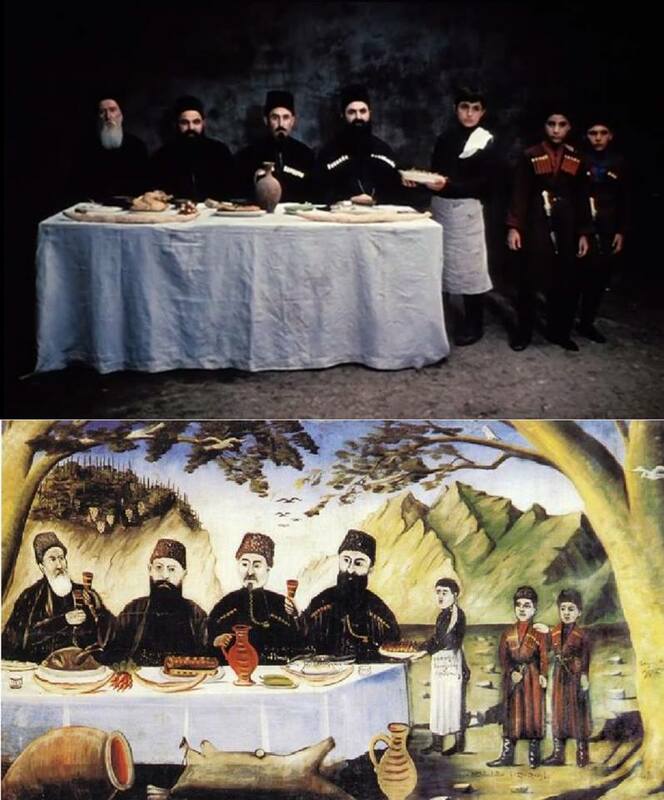 Bottom image: PAINTING- Niko Pirosmani: Dinner of Dukhan Owners - Markozishvili and others (1895-1903, in The State Museum of Fine Arts, Tbilisi, Georgia). 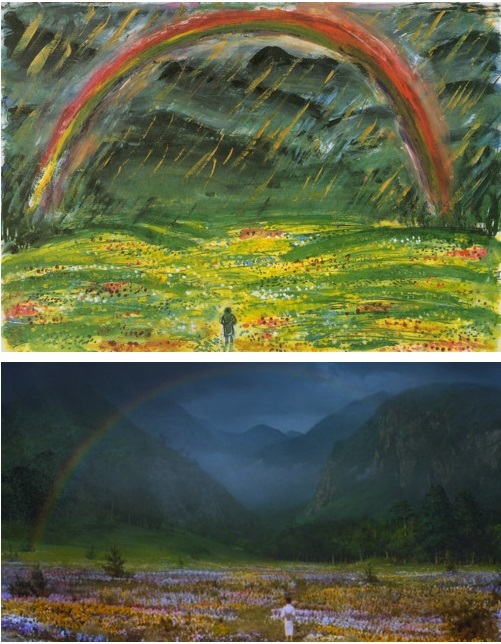 From Painting to the Screen: Akira Kurosawa’s Dreams! 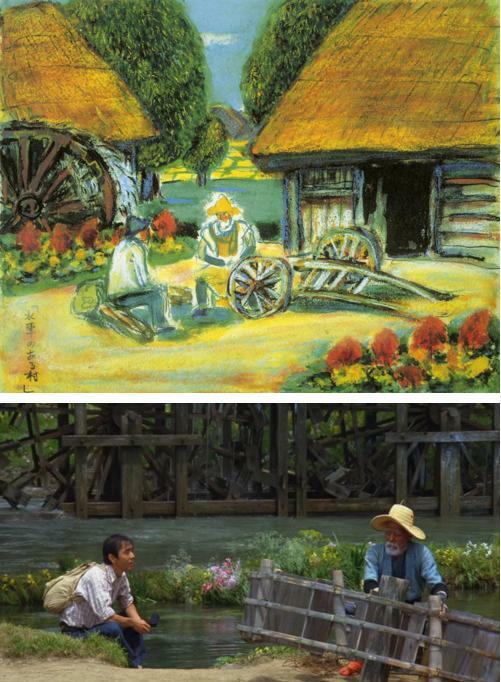 Akira Kurosawa – From Painting to Screen – Dreams (1990)! Check out these lovely storyboard paintings by the director himself and shots from the film. Posted on December 25, 2013 December 19, 2013 Categories DecemberTags 1990, Akira Kurosawa, drawing, Dreams, painting, Storyboard2 Comments on From Painting to the Screen: Akira Kurosawa’s Dreams! 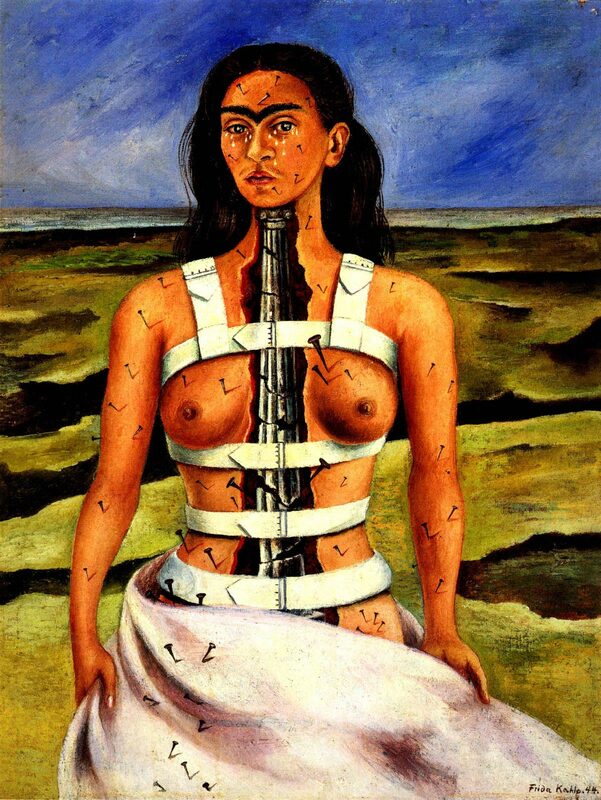 Frida Kahlo – The Broken Column, 1944. Mila Jovovich – The 5th Element, 1997. 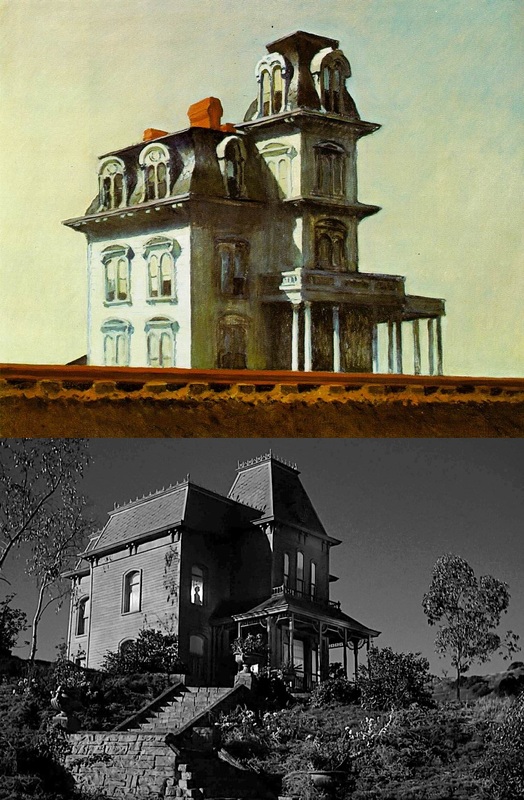 According to Stephen Robello’s famous book “Alfred Hitchcock & The Making of Psycho”, Bates Motel was modeled after American painter Edward Hopper’s House by The Railroad, painted in 1925 (currently at MoMA, NY). See for yourself. Posted on June 8, 2013 June 8, 2013 Categories JuneTags Harper's Bazaar, Juliane Moore, May 2008, painting, Peter Lindbergh1 Comment on Julianne Moore by Peter Lindbergh, painting-inspired shots! Theo Angelopoulos in front of a Jean Renoir portrait! Theo ANGELOPOULOS posing in front of a portrait of Jean Renoir by Rene Burri. Photo by Guy Le Querrec. 1998. 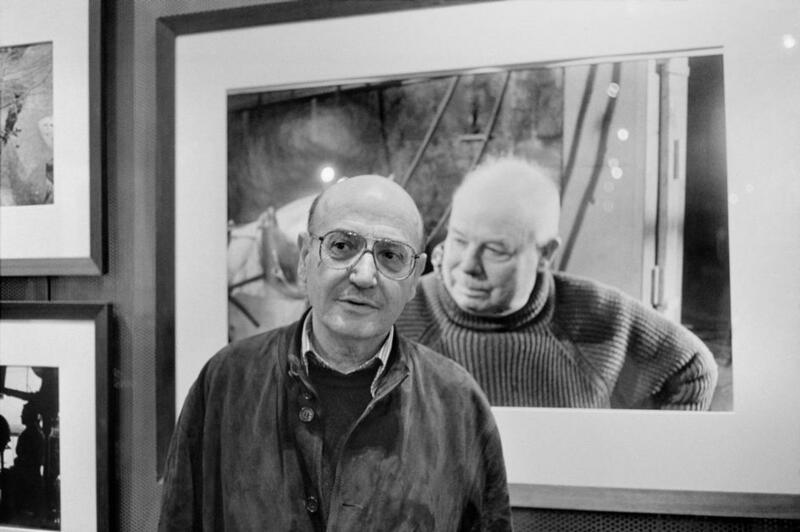 Posted on May 2, 2013 May 2, 2013 Categories MayTags 1988, Black and White, Jean Renoir, painting, portrait, Rene Burri, Theo Angelopoulos1 Comment on Theo Angelopoulos in front of a Jean Renoir portrait! We would like to start with a series of posts examining the intricate rapport between painting and cinema. Nestor Almendros, Erich Rohmer’s director of photography has never hidden the fact that he has been directly inspired by cinema when shooting “Marquise d’O”(1976). Let us re-visit the first image, the famed still shot of the Marquise in complete distress. 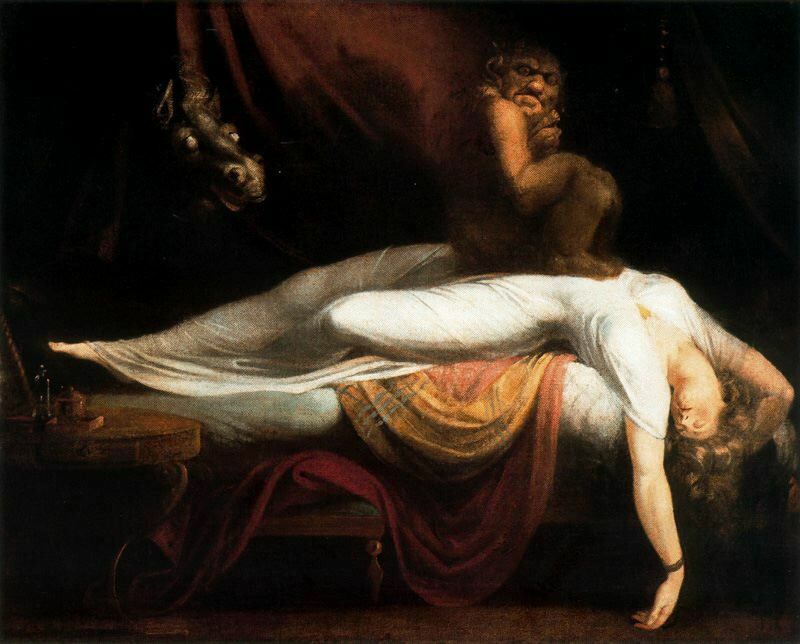 And then, consider “The Nightmare” by Swiss painter Henry Fuseli (1781). There will be more to come each week.